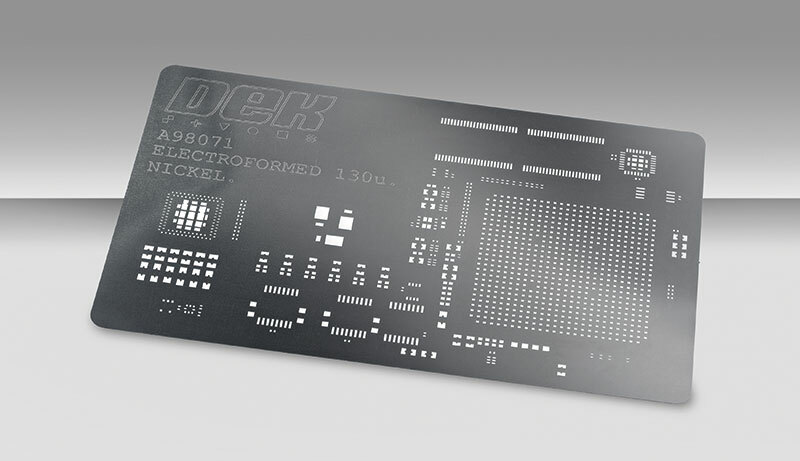 Using an additive production process, DEK Electroform stencils ensure extreme stencil thickness control for deposit uniformity across multiple applications including standard SMT, micro-SMD, semiconductor, solar and LED lighting. This stencil technology allows printing of very complex designs, into cavities and multiple levels, and around components. Call our electroform stencil experts to discuss your specific application.